Q&A with Rudy Ruiz + GIVEAWAY! 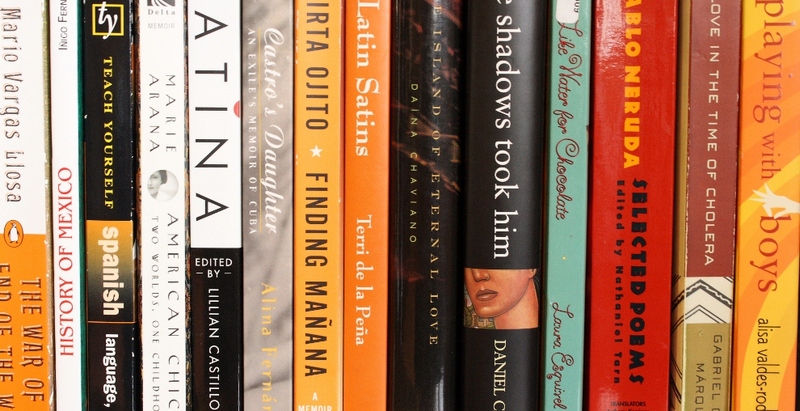 Share book reviews and ratings with readinginspanglish, and even join a book club on Goodreads. On a recent trip to the bookstore, I stopped to buy Sophia a book before going home. 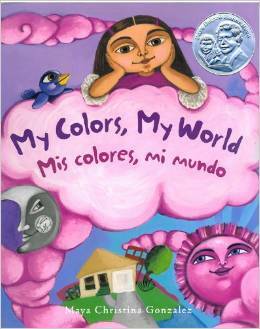 I headed straight for the few books in Spanish and decided on the bilingual My Colors, My World/Mis Colores, Mi Mundo, written and illustrated by Maya Christina Gonzalez. This book is perfect for my three-and-a-half-year old daughter, because it has more words than a simple picture book but short enough for a toddler’s attention span. It’s bilingual, but I only read it to her in Spanish to encourage her bilingual skills. The highlight of this book is the artwork. Beautiful saturated colors and quirky drawings show us the world of the main character. This book is the winner of the Pura Belpré award, and has garnered other recognition. Gonzalez and her partner founded Reflections Press, which is dedicated to publishing and working for “children–girls, children of color, transgender kids, gender creative kids,…..all kids.” Wow! I was just commenting the other day about how we get our children caught up in such trivial matters such as their hair at school (WHO said it has to crew cuts for boys and straight and long for girls???) instead of teaching compassion and tolerance. I love to see an organization working toward an inclusive perspective in our culture. I was also excited to find lots of other books that are written or illustrated by Gonzalez, which you can read about here. Most exciting of all, was to find that Gonzalez has a new children’s book, Call Me Tree/Llamame Arbol that will be released October 2014! I found it available for pre-order on Amazon, and I’ll tweet if I see an exact release date. So, as I’ve said, I had Christina’s Henríquez’s collection of short stories, Come Together, Fall Apart laying around waiting for me to read it. I bought it at a used book shop, and yeah, when it comes to purchasing books – let’s just say I have a problem. I picked it up and read the first story. Henríquez’s writing was so lucid and compelling I felt I was walking around in the character’s life. Now that is what I’m looking for in a book. Now that I have a family, and I can’t read three novels a week, I need a book to be worth it. This is the other part of the reason I have lots of unread books laying around (besides, you know, the problem). I was soooo stoked when I saw The Book of Unknown Americans suggested on Amazon that I bought it right away and put the other book down. 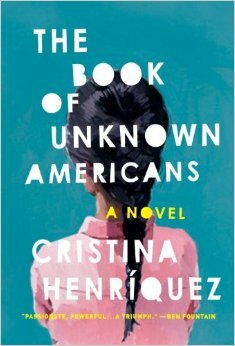 The Book of Unknown Americans is a novel composed of distinct chapters featuring different characters, all Latinos living in the U.S. The book story centers una familia michoacana: Maribel, a young girl who has been in an accident that caused traumatic brain injury, and her parents, Alma and Arturo. They come to the United States from Mexico for special education to improve her condition. Her neighbor, Mayor, falls in love with her. Most of the chapters tell the story from Alma and Mayor’s perspective. Interspersed at even intervals between Alma and Mayor’s perspective, however, marginal characters pop up, delving into their story of coming to the U.S. and how they ended up where they are. The characters are diverse, hailing from Panama, Nicaragua, Guatemala, Mexico, Venezuela, Paraguay, and Puerto Rico. One of the best things about this book are these perspectives. They tell the story of immigrants from place that is not stereotyped, not of pity. Perhaps best of all, these are not stories of the poor and downtrodden but noble immigrant. These are regular people who had dreams and whose lives sometimes took different courses. Our collective American narrative regarding immigrants is thrown out the window. Henríquez explores relationships and emotions that are universal: mother-child, wife-husband, teenage love, guilt, grief, that feeling you get when you remember what your young self set out to do, but never achieved (is there a word for that?). This is where the book is triumphant. I like the format, I like that I feel there’s a sense of restraint (show-don’t-tell writing), I like the book’s possible positive impact on the image of Latinos in the U.S. But what I first saw in Henríquez’s writing was her ability to take a character’s feelings and implant them in you, so that you feel them. She doesn’t have to explain it, and sometimes I couldn’t put into words the feelings, either — I just knew. Henríquez has a tumblr page dedicated to collecting stories of unknown Americans, which is also trending on Twitter via #unknownamericans.